Like cheap dentistry, cheap sushi is not something that should be pursued with great enthusiasm. 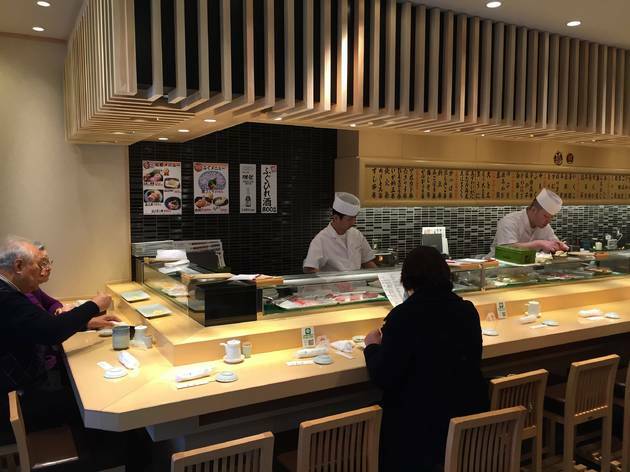 But if well-priced sushi is what you’re looking for, head to Tsukiji. For the time being, Tsukiji's outer market remains one of Tokyo’s top tourist attractions; the central market will move two kilometres away in 2016, which may upset the many thriving businesses that are supported by the tourist yuan and dollar. 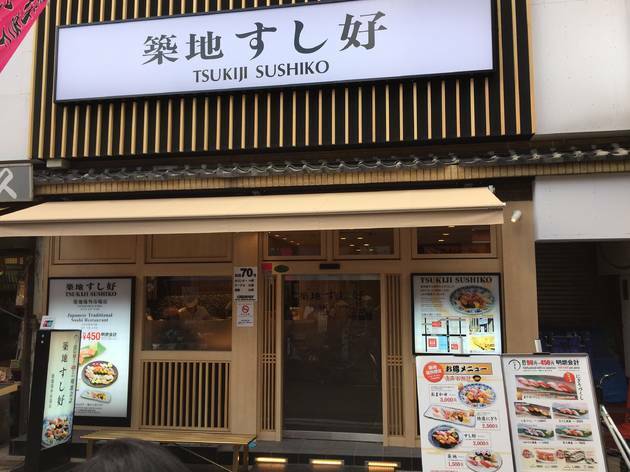 This hasn’t deterred this particular sushi chain’s expansion from two sites to a third branch at the end of 2014. 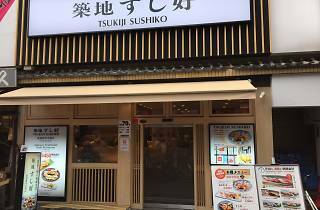 Price-wise it sits between the bargain bucket chirashi sushi joints of variable quality and the smattering of higher quality, more exclusive counter joints. 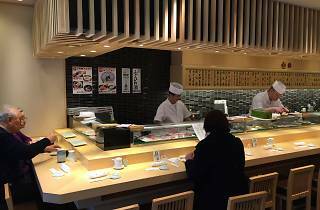 The new Sushiko certainly looks pristine, all blond wood and bright lighting. The menu’s firmly pitched at visitors, in the best possible sense: illustrated display boards show the dishes and prices outside the entrance, while laminated menus in various languages make choosing a no-risk business once inside. 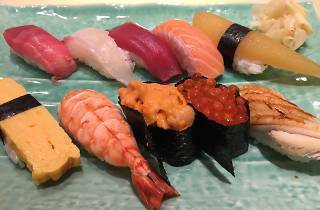 The quest for set lunch costing under ¥1,000 will be a fruitless one, unless three pieces of nigiri sushi will satisfy your appetite. Instead, order one of the bigger sets, such as the ‘Sushiko’ costing ¥2,000 (pictured above). 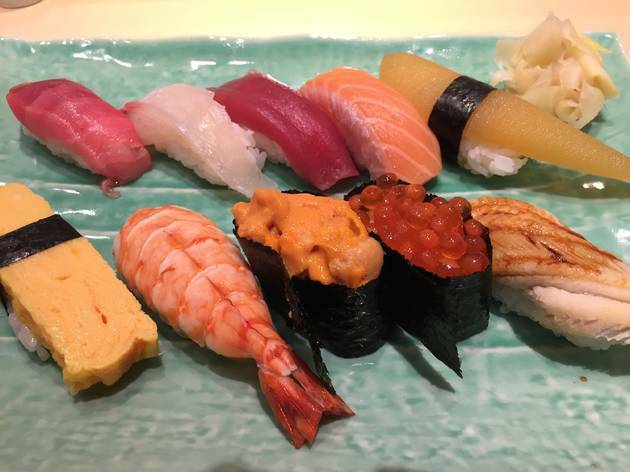 The nigiri were made to order; we found the rice slightly dry and one of the silver-skinned fish was a little more fibrous and chewy than it perhaps could have been, but the freshness of the seafood toppings was beyond doubt. With 70 seats, many of them compartmentalised into alcoves, this is not somewhere you’ll have to queue for an hour to get into.